By now—if you’ve been reading my articles—you’re aware of the some of the health dangers of sleep deprivation. But a new study by the AAA Foundation for Traffic Safety is showing that missing out on an hour or two of sleep per night (getting six hours of sleep or less) can double your risk of a car crash. Even scarier, those who only get four hours or less of shuteye in a 24-hour period are more than 11 times more likely to get in an accident. This is big news, especially considering it’s the holiday season, when people tend to be a little more burned out and sleep-deprived than usual—not to mention all that sitting in traffic to get into shopping malls, the stress of shopping once you get in there, and all the other things that can wear away at your patience and attention during the holidays. The study also shows that one in three drivers reports driving while sleepy, while one in 25 reports falling asleep at the wheel in the past month. Actually falling asleep at the wheel! This can have serious consequences. Drowsy driving was reportedly responsible for roughly 72,000 crashes, 44,000 injuries, and 800 deaths in 2013. And in addition to the human costs, your wallet takes a beating. Planning is a major part of the holidays, and when you have a plan, you can make sure you get more sleep or minimize your risk of a car accident. If you have to attend a party, either make sure you have a curfew so you get enough sleep, or bank some extra time in the morning to sleep in. Even better: leave the car at home the next day. Although drinking can make you feel tired, it actually diminishes the quality of sleep. The last drink of the night—or even just a single nightcap—can lead to increased wakefulness during the night, a failure to reach deep sleep, and grogginess and decreased alertness the next day. Try to stay sober at parties or try to avoid alcohol at least two hours before bed. One of the biggest factors keeping people awake this time of year is financial stress. Making sure you have the right gift for everyone on your list can get extremely expensive, and it can cut into your sleep. Make a shopping list for the most important people and stay within a budget. Remember, it isn’t worth going broke—or risking your health—to stress over holiday gifts. If you’re like me, when you lie down to go to sleep at this time of year, it’s not visions of sugar plums dancing through your head, but rather a list of unfinished holiday to-dos or even thoughts about the mounting bills. Mindfulness meditation can help you relax by sitting quietly and focusing on breathing, sounds, sensations, or mental images. Look into a meditation class in your area to get some instruction on this relaxation technique. Make sure you account for the extra time it will take to meditate before bed so it doesn’t cut into your minimum of seven hours sleep. Wells, N., “Getting only 6 hours of sleep can double risk of car crash: AAA study,” CTV News, December 6, 2016; http://www.ctvnews.ca/health/getting-only-6-hours-of-sleep-can-double-risk-of-car-crash-aaa-study-1.3191066, last accessed December 9, 2016. 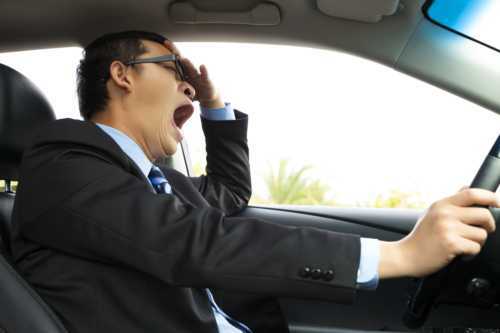 Whiteman, H., “Vehicle crash risk nearly doubles with just 1-2 hours less sleep,” Medical News Today, December 6, 2016; http://www.medicalnewstoday.com/articles/314554.php, last accessed December 9, 2016.